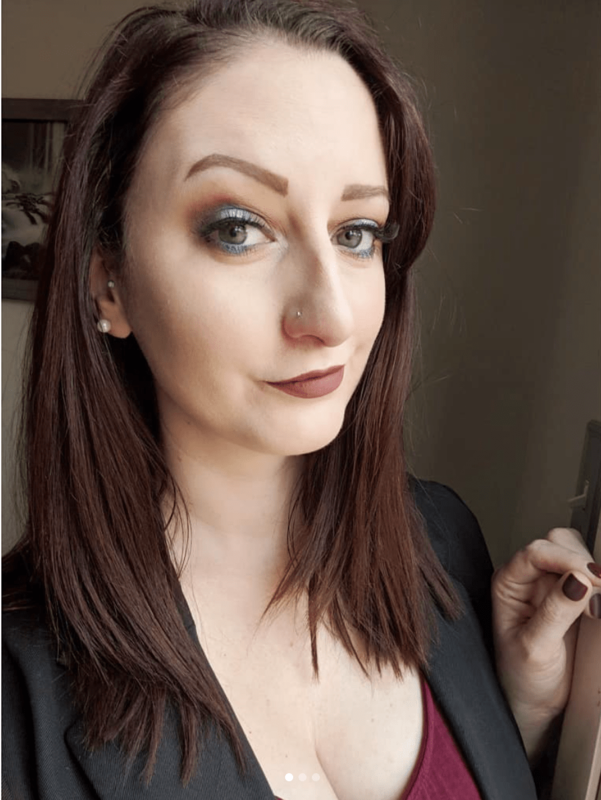 About me: My name is Jamie Goodall and I am Assistant Professor of History and Assistant Archivist at Stevenson University in Baltimore, Maryland. I teach courses on a wide variety of historical subjects, including American and World History surveys, Intro to Public History, and Pirates of the Caribbean among many others. I wish I could remember the exact moment I decided to enter the historical profession, but the truth is, a love of history has been with me since before I can remember. I recall mentally devouring my mother’s old Time Life books on ancient Egypt and Rome. As fond as I am of the fiction genre, I was always that weird kid whose nose was stuck in a non-fiction book–and it was usually a history book. It was a long and windy road that brought me to the PhD in history, but history has been the underlying theme of everything I’ve done. 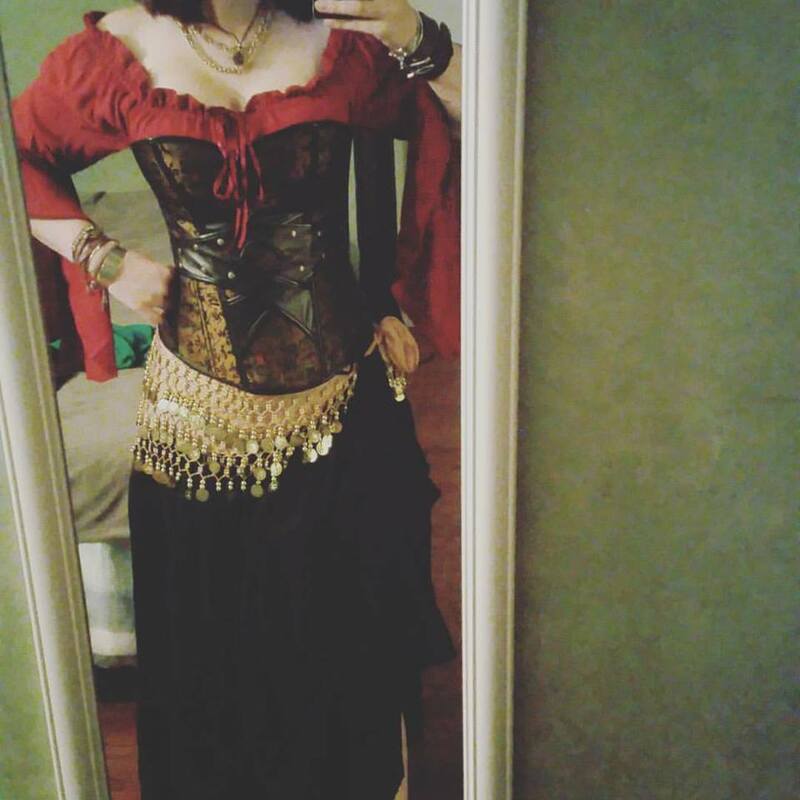 I am currently revising my dissertation into a monograph that examines the ways in which taste making and material culture developed in Caribbean islands via informal commercial networks among pirates, smugglers, merchants, government officials, and residents of the seventeenth and eighteenth century Atlantic world. This monograph is tentatively titled Selling the Seven Seas: Piracy, Tastemaking, and Consumption in the Early Modern Caribbean World (1650-1790) with LSU Press. I also have a forthcoming book with The History Press: Pirates of the Chesapeake Bay: A Brief History of Piracy in Maryland and Virginia. I received my B.A. in Archaeology and my M.A. in Public History-Museum Studies from Appalachian State University (Boone, North Carolina) in 2008 and 2010 respectively. I received my PhD from The Ohio State in May 2016. I wear many hats. In addition to my current responsibilities at Stevenson University, I taught American History courses at The Ohio State University while earning the PhD. I also have experience teaching post-1945 World History, which I did in my short tenure as a Visiting Professor at DeVry University and at Southern New Hampshire University. My experience includes online teaching, the classroom environment, and hybrid-learning that combines the two. I also volunteer for the organization GlobalMaritimeHistory.com. Additionally, I have helped MarineLives.org with transcriptions of the High Court of Admiralty records as part of a massive digitization effort. My other professional development includes serving as a freelance editor/academic consultant for McGraw-Hill Education, contributor to the online textbook The American Yawp, subject matter expert for Cengage Learning, and as a judge for the Maryland State finals of the American Legion Oratorical Scholarship Contest. I have published book reviews for various organizations and a digital exhibition review for HASTAC. You’ll often find me presenting my work at regional, national, and international conferences. Past presentations include the 38th Annual Economic and Business History Society Conference, 2013 Mid-Atlantic Conference on British Studies, the 17th Annual Omohundro Institute of Early American History & Culture Conference, New York University Atlantic Workshop, and 49thAnnual Association of Caribbean Historians Meeting, among others. I have been interviewed for The Rogue Historian podcast (“Episode #34 Pirates, Public History, and PIRATES! With Jamie Goodall”), gave an invited lecture (“From Gold to Glass: Pirates as Tastemakers in the Early Modern Caribbean”) for Bryn Mawr’s History Department lecture series, and I have been invited to give a community talk on piracy and public history at Coastal Carolina University. I grew up a Navy brat before my father settled us in North Carolina. The military lifestyle we had for some years instilled in me a perpetual case of wanderlust. I cannot travel enough! My heart belongs to my three beautiful puppy dogs: Thomas Jefferson and his brother John Tyler, both pure bred boxers; and my dearly departed Laddie, who was an eleven year old curmudgeon (mutt). I am adept at cleaning the entire house in under an hour and navigating any coffee shop’s menu with ease. I’m certain it’s coffee, not blood, flowing through my veins. I enjoy being crafty (jewelry making, painting, designing, etc), taking photographs, reading, and writing. 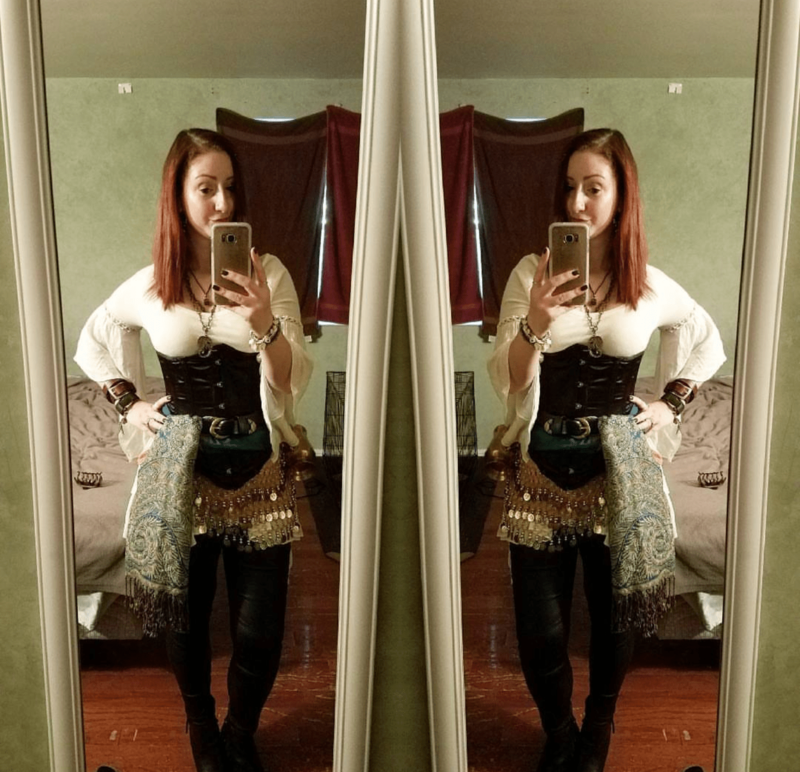 My passions include tattoos, history, teaching, crime novels, sunshine, the ocean, and–of course–pirates. I consider myself a connoisseur of the three B’s: books, booze, and beaches! 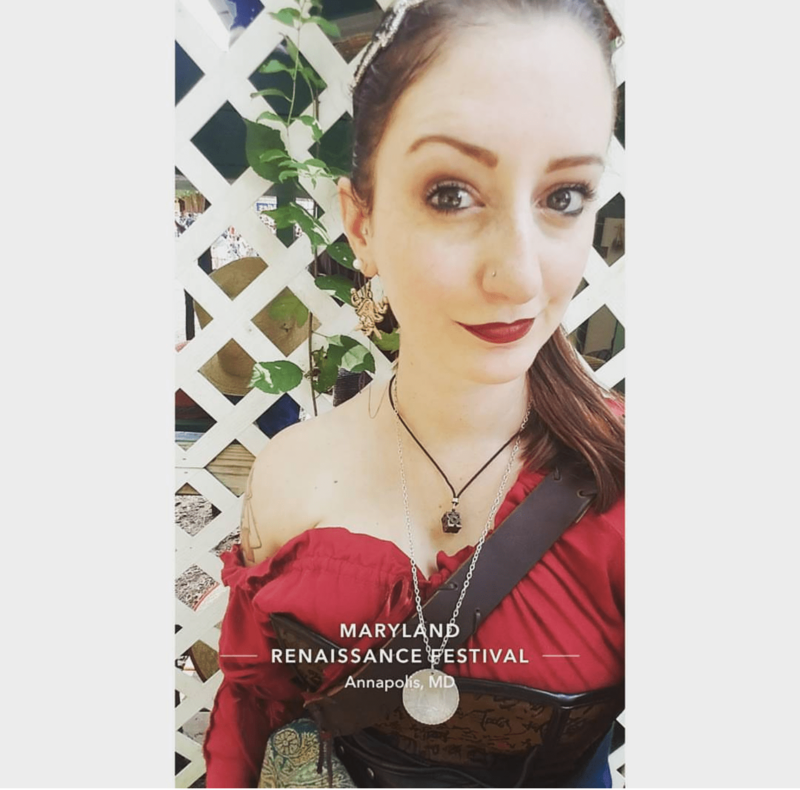 You can also find me at the Maryland Renaissance Festival dressed as my alter ego: Torienne, Ship’s Scholar of the crew Mare Nostrum! I drink and I know things.